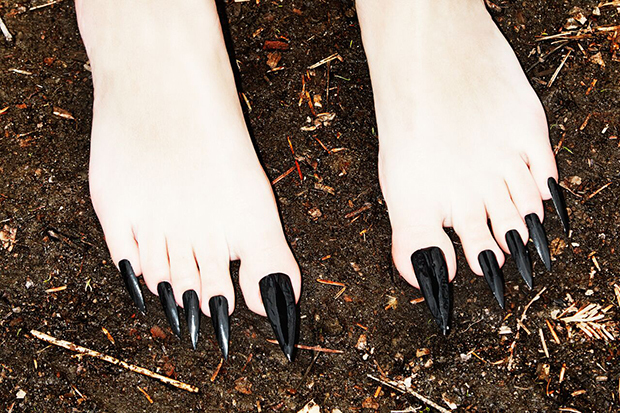 The photographer is a kind of a connoisseur of online subcultures, and she first came across the acrylic toenail fad on Pinterest. 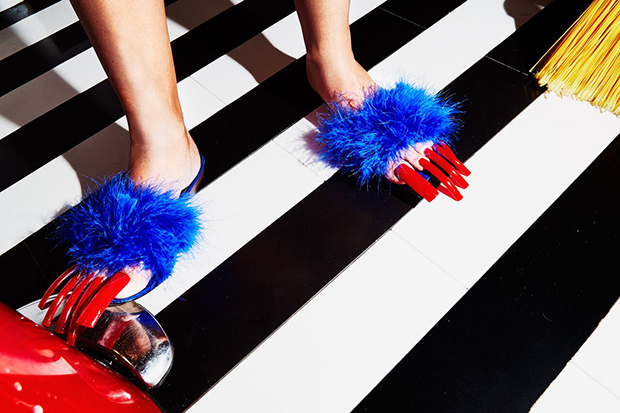 She had seen people wearing them in person, but the trend went deeper, as Lombard learned when she stumbled across a whole genre of amateur, internet photography devoted entirely to acrylic toenails. The images were all similar, with some recurring themes. “There were some holding a wine glass, some against a teddy bear, some covered on chocolate, (what I now know is) the classic foot shot against the gas and break pedal,” Lombard explains. While she hasn’t met any of the amateur foot models “IRL,” as she puts it, the photographer teamed up with nail artist Sonya Meesh and illustrator/parts model Amanda Lanzone to pay tribute to what they’ve done. NAILS Part 2 is what Lombard calls an “homage” to an “under-appreciated” artistic medium. “Aside from standard primping and excessive lotioning, getting the feet camera-ready was not an easy task,” Lombard admits. 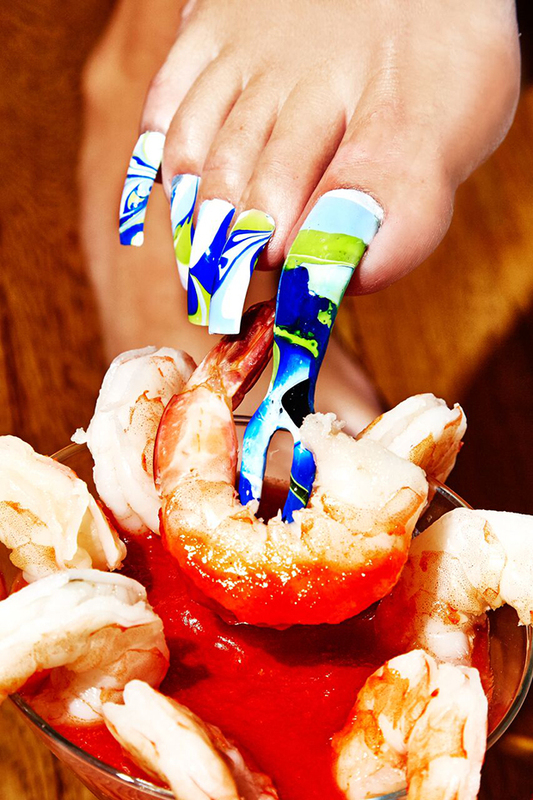 It was, understandably, difficult for Lanzone to walk with the acrylic nails in place, and there was an unfortunate incident involving shrimp that was accidentally left un-refrigerated (“we were all gagging,” the photographer admits). Lombard still remembers the funny looks and stares they got while shooting one of the pictures in a toy store. Looking back on the Pinterest photographers who helped inspire the collection, Lombard says she isn’t sure if their community even exists in person or if it’s only on the web. She’s also not certain about how the images are used by the public. But before you judge long acrylic toenails as outlandish, remember the influence that these cultural phenomena have on all of us. Lombard might not do up her own feet this way— the style is “bold” and takes a great deal of confidence to pull of— but she does have her own routine when it comes to her nails. You can follow Amy Lombard and Sonya Meesh on Instagram at @sonyameesh and @amylombard.